We're nearly through March and I think that today is the day where I will come out and say that 2017 isn't starting out all that strong as far as new releases go. It's been really, really quite for these first three months with only a few good records in my humble opinion. What's even more frustrating is I don't really see all that much on the immediate horizon. Sure, I absolutely have a few preorders for things I'm excited about, but I feel like it's far fewer than I normally would have. Anyway, what this is bringing me to is that Out is one of the few brights spots in an otherwise lackluster beginning of the year. 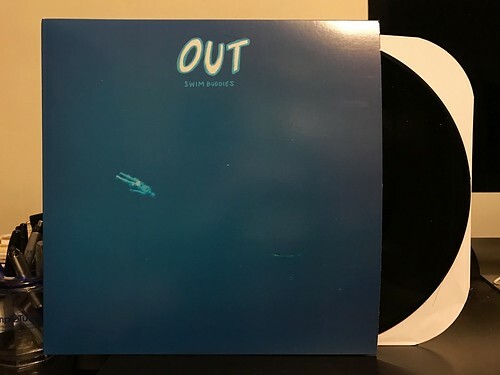 Containing three quarters of the wonderful band Minutes, Out is somewhat following in their footsteps with an album full of 90's sounding indie rock. You've got your crunchy, powerful songs that are reminiscent of Archers of Loaf. There's a few that go for a more wonky pop sound like Pavement and a few noisy ones that remind me of bands like Polvo. All those comparisons mentioned, Out mostly feels like the next logical step in what Minutes probably would have done on another record. Aside from one song called "Dance, Like" that I really don't like for whatever reason, this is a very strong album that scratches that indie rock itch I have every so often. The Odd Numbers - Something New 7"